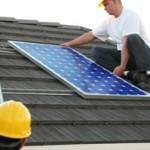 Solar PV panel installation - what’s involved? 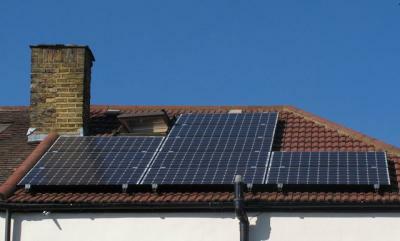 Thinking of installing a solar photovoltaic (PV) system on your roof but not sure what this will entail? We’ve put together a short guide to show you the step by step process of how a qualified solar installer will carry out the job. We recommend comparing quotes from different installers to get the best price for your system. An installer should come to your home and inspect the project site in order to give you an accurate estimate of what a new solar installation is likely to cost. Once you’ve chosen a company, they will create a detailed plan for the installation of the system before they begin the work. The installers may need to set up scaffolding in order to carry out work on your property’s roof, although this isn’t always necessary if you have a bungalow or other single story home. Your installer will first fit a series of hooks to your roof timbers/ rafters. These will then hold a series of rails that make up a frame for the solar panels to sit on. The framework is usually made up of a metal such as aluminium. Using a set of strong clips, your installer will mount the panels onto the frame. They will then connect the electrical wiring to the inverter. The inverter will be able to turn the DC input from the panels into AC output for use in your home – this output is connected to both your homes’ electrical supply and the energy grid. A good installer will always ensure this is carried out as cleanly as possible, with as little wiring on show as possible. Your installer may need to turn your property’s electricity off for a very short period – Evo Energy suggest that this can be done in only half an hour. You will also have an Ofgem approved generation meter added during the installation. Once your installer has carried out the relevant safety checks they will turn the inverter on and power up your new solar PV system. They may then check that the system is performing to the standard estimated before installation. Finally they should provide you with all of the necessary documentation including manuals and warranties. Your installer should then register your system with the Microgeneration Certification Scheme (MCS). 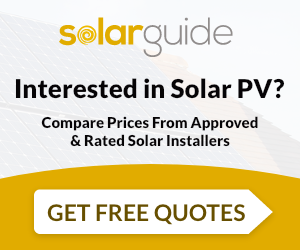 All of the installers Solar Guide work with are MCS certified, plus we regularly check ratings and reviews to make sure you only get quotes from quality companies. Please note this is a general guide to what is involved in installing Solar PV, however, your MCS registered solar installer will work through the exact process with you in detail prior to the installation.